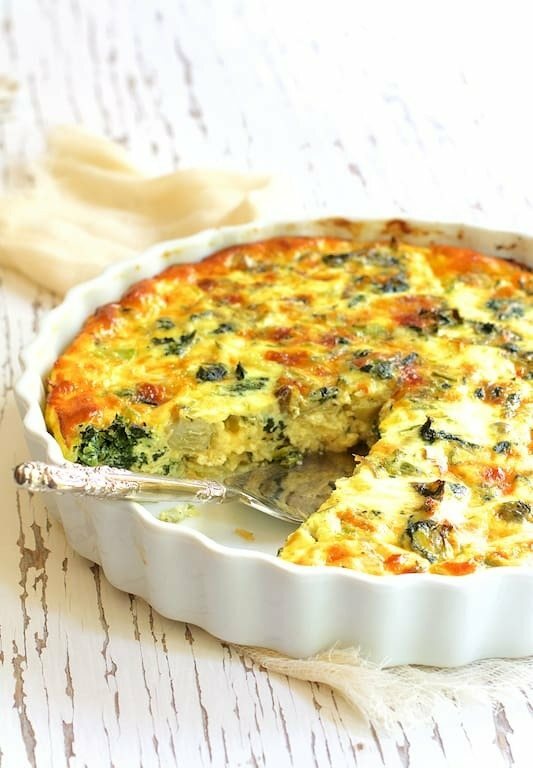 Crustless Spinach, Artichoke and Jalapeno Quiche is quiche with a kick! Perfect for when you need fancy or just want simple and rustic. Preheat oven to 350 degrees. Combine spinach, artichoke hearts, scallion, garlic, cheese and salt and black pepper in a 10-inch round baking dish. Whisk together eggs and milk, half-and-half or heavy cream. Pour over spinach-artichoke combination. Bake for 35-40 minutes or until golden brown on the top and set in the center.